Today everyone is concerned about rising energy costs. 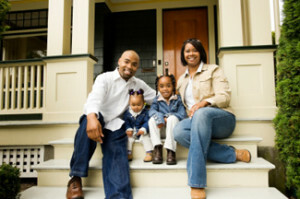 By partnering with ENERGY STAR, builders provide their customers a comfortable and durable home that uses less energy. Homeowners appreciate saving money on their energy bills, and builders appreciate fewer callbacks and complaints. What are the Benefits of Building ENERGY STAR® Homes? The ENERGY STAR logo is widely recognized as the standard for energy efficiency. Potential home buyers will quickly perceive the value added to a home with the ENERGY STAR seal of approval. Associate your company with this trusted program to create market advantage. Your company will be listed on the ENERGY STAR Website as an ENERGY STAR Builder. Homebuyers will not only experience lower utility bills in their new ENERGY STAR home, they will feel more comfortable, breathe cleaner air, and have reduced maintenance costs. ENERGY STAR homes are also reported to have less callbacks and fewer warranty claims, saving the builder time and money. Word-of-mouth recognition of your company as an ENERGY STAR builder will spread. More than 1 million ENERGY STAR qualified homes have been built in the United States. If a potential home buyer looks at two similar homes, one certified by ENERGY STAR and the other not, you can bet that the ENERGY STAR home will sell first. What is Required to Build ENERGY STAR® Homes? To ensure that a home meets ENERGY STAR guidelines, third–party verification by a certified RESNET Home Energy Rating System Rater (HERS Rater) is required. This Rater works closely with the builder throughout the construction process to help determine the needed energy–saving equipment and construction techniques and conduct required on–site diagnostic testing and inspections to document that the home is eligible to earn the ENERGY STAR label. The staff at Green River are experienced RESNET Certified HERS Raters. We distinguish ourselves from other energy raters by providing turnkey support during the building process, helping you and your subcontractors to identify and comply with the necessary steps to achieve certification on a day-to-day basis. Call or email us today to schedule an appointment to conduct a rating! Do You Want to Partner with ENERGY STAR®? By going to the ENERGY STAR partner Website, you can enter into a Partnership Agreement with EPA, agreeing to affix an ENERGY STAR label on homes that are independently verified to meet program guidelines and to build at least one ENERGY STAR qualified home every 12 months to maintain your partnership. Through the Partnership Agreement process, you can also select Green River as your Home Energy Rater to work with to qualify your homes. We are certified RESNET HERS Raters. We are very knowledgeable about the ENERGY STAR Version 3.0 standards and requirements, and will help you stay on track and get your home certified. Call us today to sign up for a certification, (865) 919-7464.